Cliff answered the call to preach in 1977 and received his first pastorate in 1979. He has spent most of his ministry as a church planter, planting three churches. God has led them to plant their fourth church in Tallahassee, Florida. 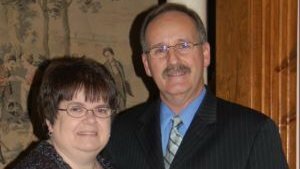 God blessed Cliff and Kathy with two wonderful children, son Chad and daughter Janice Texada, who each married a spouse of high character and a love for God. They have three grandchildren. Cliff and Kathy, and Chad and Jenny are working as Joint Project missionaries with the Florida State Mission Board and the National Home Missions Department. If you wish to make a donation to Project Tallahassee please send your gift to the Project Tallahassee Account at Free Will Baptist Home Missions, P.O. Box 5002, Antioch, TN 37011-5002. Make sure you specify that you want your gift to go to Project Tallahassee, otherwise your gift might not reach Cliff.